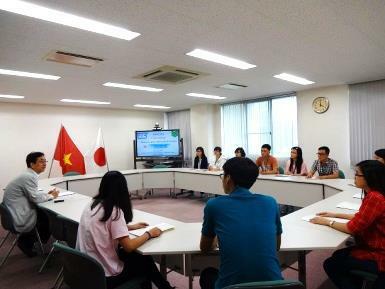 The ten-day period from the June 28, Mie University received ten students and two teachers from Ho-Chi-Minh City University of Education which has concluded an agreement with Mie University through the Sakura Exchange Program in Science offered by the Japan Science and Technology Agency. This is the program for enhancing exchanges between Asia and Japan of the youths who will play a crucial role in the future field of science by facilitating short-term visits of competent Asian youths to Japan. 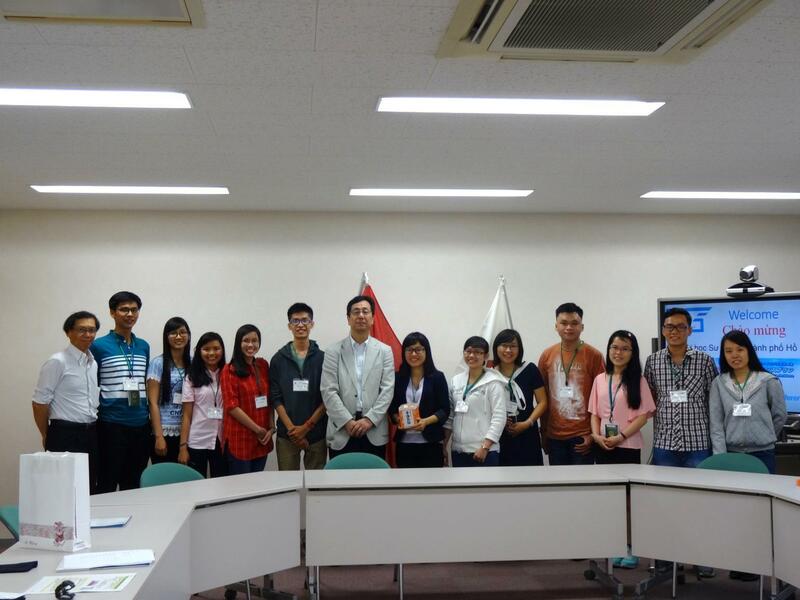 After they arrived at Mie University, They paid a courtesy visit to Prof. Hiroki Hori, Vice President for international affairs and CIER Director. In the meeting, they listened eagerly to Prof. Hori with their eyes shining although they didn't get much sleep due to overnight flight. 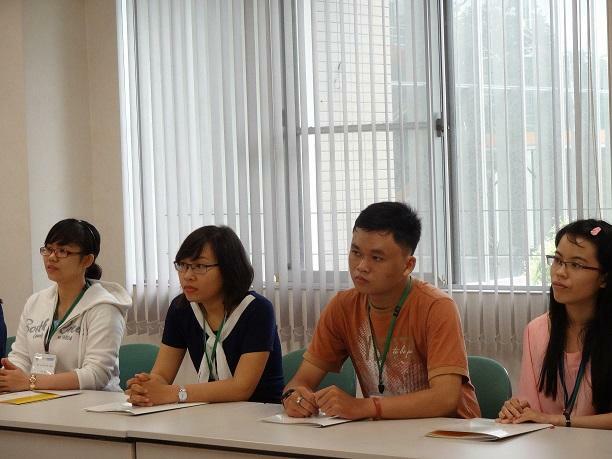 Students who want to be a teacher expressed their willingness by saying "With this chance, we would like to learn a lot of things in Japan." Prof. Hori encouraged as follows "We can learn a lot of things each other through this exchange. I believe all of you will be a great teacher and pass on what you learn to next generations." We hope it is a good opportunity to broaden their horizons and this program strengthens mutual cooperation between the two universities.